SRT Helicopters Airborne Law Enforcement (ABLE) program is available to private business, local, state and federal agencies as either a dedicated patrol service, or Call When Needed (CWN) program for special events, high risk operations, or to address increased crime trends. Our aircraft are configured according to your needs and budget. At SRT, we understand the operational mission and the challenges of “Doing More with less”. 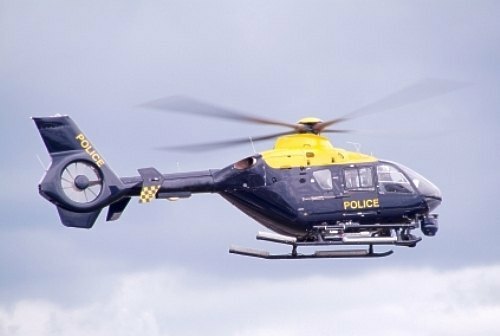 The use of Aircraft for Law Enforcement operations is on the rise. Simply put, a properly utilized aircraft can be a force multiplier for any agency or region and works best when properly coordinated with ground units and by those who know the mission. At SRT, we have the knowledge and real world experience to enhance a current program, or design and implement a brand new unit from the ground up. By operating a variety of aircraft and utilizing working Airborne Law Enforcement professionals we can assure that your agencies needs are met to the highest standards, while utilizing the safest and most cost effective means available. SRT has a 100% mission success record coupled with a zero accident safety record. Some of the operations SRT can provide are; Day and Night Patrol, Surveillance, Tactical Support, Search and Rescue (SAR) or disaster response services. Our programs are custom tailored to your agencies operational needs, assessed threats and of course your budget. - Rapid response – helicopter units are usually the first on the scene. - Enhancement of officer and citizen safety. - Increased area coverage – studies have shown that one helicopter unit is equal to at least five ground units. - Is a highly visible deterrent to criminals. SRT Helicopters offers a variety of commercial operations to meet your personal or professional needs. Whatever challenge you have that needs the unique characteristic of helicopter then we are here to help. Specific packages can easily be tailored to your needs. See how our quality staff and equipment can help you today. You’ll soon see why we just “Love to Fly”.